Researcher at the University of Oxford. Member of the World Economic Forum Expert Network and Global Shaper. 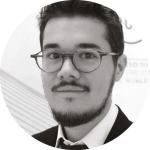 He is the Founder and CEO of Avantgarde Analytics. His research focuses on complex social networks, human dynamics and the emergence of collective behaviour online. Recent elections around the world have raised serious questions about the potential effects that social media might have on voters. 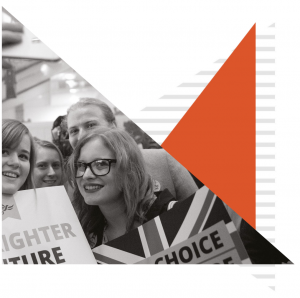 The UK 2017 Election seems a vivid example of what happens when one political party completely neglects social media, while its opponent leverages its incredible momentum to activate young voters. As seen during the EU referendum, social media is becoming a vital election campaign battleground. Young people increasingly turn to sites like Facebook, Instagram and Twitter as sources of information and entertainment with regard to upcoming elections. In particular, we note Instagram has become popular among young adults to express political views and show support for the causes they care about. 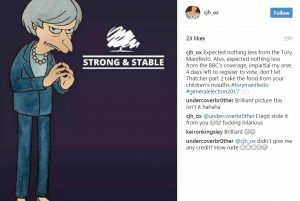 After Theresa May’s election announcement , there was a deluge of Instagram posts about what this election might mean for British society. In addition, to encourage young people to vote, several musicians, actors, athletes and social media celebrities joined the political battle. In the months leading up to the election, the hashtag #RegisterToVote caught on. It amassed over 29,870 public posts on Instagram showing overwhelming support for Labour, which we collected and analysed as part of our research at the Oxford Internet Institute. Related hashtags frequently co-tagged hashtags also tried to galvanise youth into political action through memes and emotional appeals. For example, #VoteLabour (83,094 posts), #ForTheManyNotTheFew (20,063 posts), #JC4PM (18,275 posts), #ToriesOut (16,439 posts), #ForTheMany (9,738 posts), #FuckTheTories (7,499 posts), #MakeJuneTheEndOfMay (5,515 posts), #YourVoteYourVoice (5,046 posts), #Grime4Corbyn (2,251 posts) and, perhaps most ironically, #StrongAndStableMyArse (1,457 posts). All showed strong support for Labour and were predominantly promoted by young people. Our findings suggest Britain’s younger generation and their prolific use of social media had a massive effect on the election outcome. What is more surprising, perhaps, is the diversity of Instagrammers who decided to encourage young voters to register to vote while also showing support for Jeremy Corbyn. As shown in our exploratory study, the Internet is full of surprises and sometimes new advocates of democracy emerge from the most unexpected places. 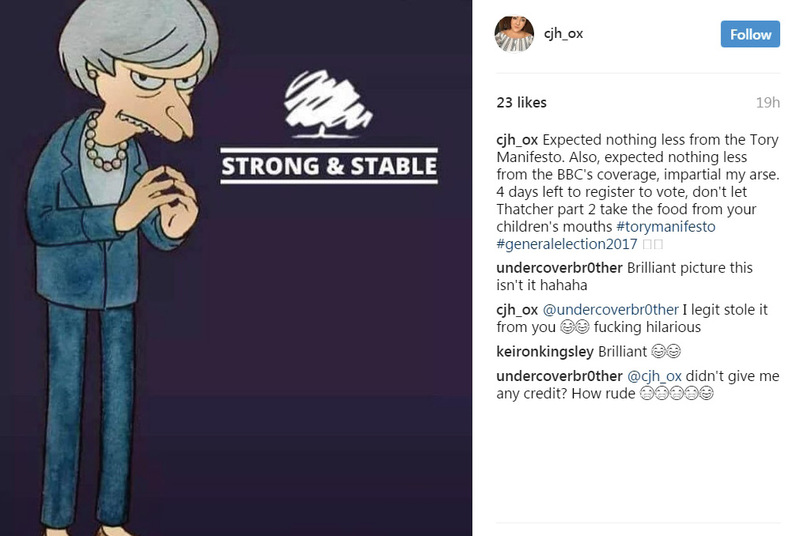 Some of the most influential Instagrammers who actively stepped into the election campaign were actresses Emilia Clarke from Game of Thrones and Kaya Scodelario from Pirates of the Caribbean, high street brands like TopShop and Lush, as well as musicians like Stormzy and Clean Bandit, who all got behind Corbyn. To put things into perspective, Emilia Clarke’s picture of her cute dog, in which she urged young people to make their voices heard, was liked by over 271,934 people. By contrast, the median post in the studied sample only received 21 likes. As a direct result of this the number of young people registering to vote in 2017 was the highest of any age group. While no official data on youth turnout exists at the time of writing, some exit polls suggest turnout among under-35s rose by 12 percentage points compared with 2015, to 56 percent. Other reports estimate that as many as 72 percent of eligible 18-24 year olds voted. This surge in young people registering, soon dubbed as the “youthquake”, partly constituted Labour’s 10-point advance in vote share. 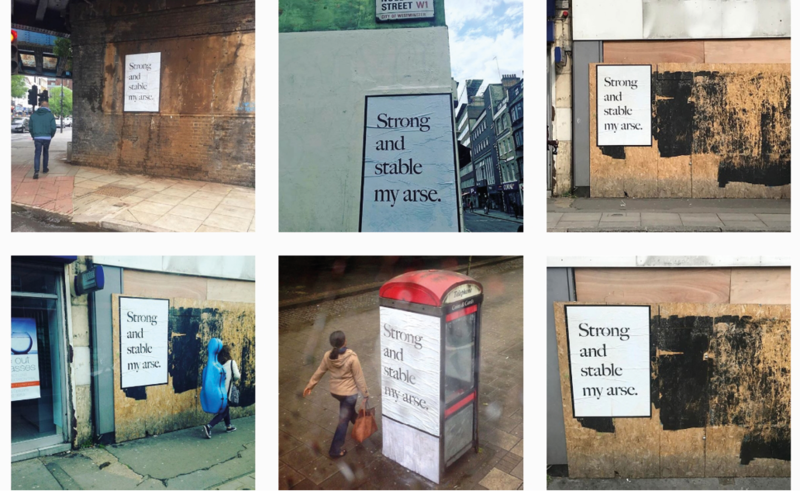 Throughout the election, Labour lagged in the polls but was winning on social media. Jeremy Corbyn’s remarkable online popularity allowed him to defy pundits and pollsters to bring Labour back on track. This is good news for parties with similar political philosophies around the world who are facing upcoming elections. Our data indicates that young voters are not only more visible on social media, but they are also more left-leaning and more likely to put their faith in political parties that support globalisation. For a new generation of politicians, social media now offers a new path to power that was previously unimaginable. However, merely relying on tech-savvy younger people online is not enough to win an election. As social media becomes increasingly crowded, competitive, and saturated with clickbait articles and fake news, many political parties struggle to build meaningful relationships with citizens. Our research indicates there is a severe disconnect between motivated voters, who keenly generate content on social media, and political party strategies. Rather than relying on chance, social media momentum can be actively fostered through technological means at a large scale. Digital campaigning agencies like Avantgarde Analytics offer artificial intelligence solutions to make this political dream a reality. Deep neural networks can be trained to recognise patterns in social media behaviour and actively reach out to voters with personalised messages. In this way, machine learning algorithms can be used to better engage young voters; to inform them about the diversity of political opinions and guide them towards political empowerment in an accessible and personalised manner. As the GE2017 campaign was entering the home stretch, Jeremy Corbyn could have used this form of algorithmic campaigning to reach out to the millions already expressing their support for him online and encourage them to vote. However, Labour still managed to cause a seismic shift. For many Conservatives the result was a huge surprise. Maybe next time, to avoid such a spectacular misjudgement, they should turn away from polls and look to social media to get a better sense of what is really going on.